With more than 30 years in the Christian school movement, several years as a junior high and high school teacher and 28 years as an administrator, Tim Stranske has a wealth of experience in the education field. He was a principal, curriculum director and superintendent for four California Christian school systems. 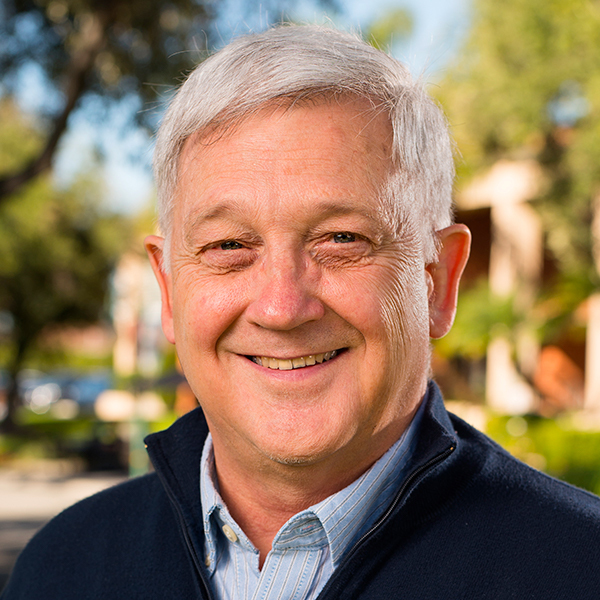 In addition, Stranske served Biola as an adjunct faculty member from 1982–87 and from 1991–93. With this background, Stranske assists in moving forward the mission of Biola’s School of Education. He works to coordinate efforts with the Association of Christian Schools International (ACSI), oversees placement of student teachers abroad and provides leadership for the M.A.Ed. program. Stranske, T. (2008) Book Review. "Overcoming Religious Illiteracy: A Cultural Studies Approach to the Study of Religion in Secondary Education" By Diane L. Moore, New York, NY: Palgrave Division, 2007. 226 pp. ], Journal of Church and State, Spring. Stranske,T. (2007). Book review. “Let All the Children Come to Me: A Practical Guide to Including Children with Disabilities in Your Church Ministries” by MaLesa Breeding, Dana Hood and Jerry Whitworth and “Autism and Your Church: Nurturing the Spiritual Growth of People with Autism-Spectrum Disorders” by Barbara J. Newman. Christian Education Journal, 4 no. 1. Hetzel. J. & Stranske, T. (2007) “The IQ, EQ, AQ, & SQ elements of effective pedagogy,” Christian School Education, 10 no. 3: 6-9. “How Should Christians Deal With the Occult.” in Kienel, P.A., ed., Handbook for Christian Living: A Resource Manual for Applying God's Truth in a Mixed-up World, 1991. “Elementary Student Writing Improvement: A Longitudinal Study of Precusors.” 1990. “A Biblical Perspective for Early Childhood Education.” co-authored., prepared for ACSI, 1988. “Screening Pupil Applicants.” in Enderlin, A.C. and White, R.E. eds., Manual of Administration for New and Young Christian Schools, 1986.